The technical support staff is responsible to perform various duties. First of all, the staff must know about handling all the technical tasks. They are required to have command on using different software. 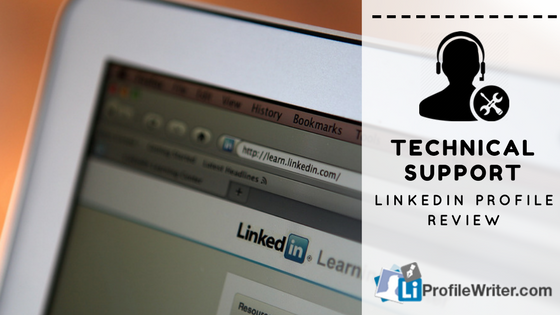 More than 32% technical support individuals are not available on LinkedIn. It is due to lack of interest or knowledge. The review is written by our best LinkedIn profile writers and primarily based on LinkedIn’s All-Star level of completion. A complete profile helps you be found by your future employers or clients. Your profile picture and headline are two of the most important and most viewed aspects of your profile. Your profile picture should reflect the professional that you are. Consider updating your headline to give a short overview of your experience and the type of position you are seeking. 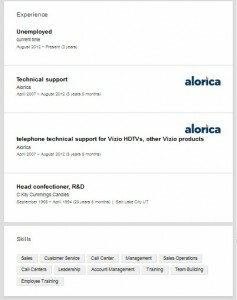 Instead of ‘unemployed at current time’, you could update it to say “Technical Support Agent with over 5 Years Experience Seeking Position”. 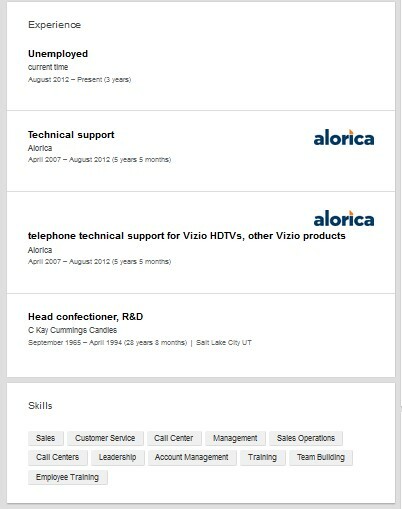 You could also attach your full resume to this section so that future employers can view it as the view your profile. Consider adding more information to your experience section. Including your duties and accomplishments at your previous positions can help give a better understanding into your background. You might be also interested in our sales consultant Linkedin profile review. Remember that you are creating a profile of biggest platform for professionals across the globe. So, try to avoid using plenty of buzzwords i.e. motivated, dedicated, professional etc. Once you make innumerable connections, try to show your presence to them before they delete you from their contact’s list. Update statuses and share helpful media files to get noticed by people. Say No to Grammatical Mistakes. When the content becomes unreadable or not understandable, the readers automatically switch to other’s page. No spelling errors are permitted indeed. So, try to avoid making the spelling errors. It’s time to go to another level of professionalism by changing personal profile photo. This is helpful to grab more attention of employers. The recognition you’ve received, media pieces you’re interested in and portfolio of work need to be added in the media’s section. Whether its partners, clients or coworkers, as people you’ve worked with. There is no point to feel shy at all. Make the URL of profile look more professional. This is helpful to grab more attention of the employers and make your internet search simpler. Let’s try to publish the self-written blogs, articles or own writings. Whatever you share on the profile, it must be relevant. Make sure that any kind of irrelevant content can badly affect the overall image of your profile. Here is a quote shared by an anonymous. It is related to hard work and success. He said, “The key to success is hard work and determination”. If you want to get ultimate success in the professional career, the LinkedIn profile can help you out in it. However, try to give ample time to it. Always follow the major requirements, add elements and updates by paying full attention. Write the summary in own words and don’t try to do it all hurriedly. The first overview of the entire profile should be to find and rectify grammatical errors. The plus point would be for the reviewers who check spellings. Update the status that should definitely sound professional. The headline also needs to be updated. Try to see the headlines written by others on LinkedIn. This can help to write the quirky and professional headline. Write a summary in your own words. Don’t create any mess and walls of text. The summary should always be worth reading so that employers consider you for the job. All of these steps are ideal to review the profile of LinkedIn in an ideal manner. You need to pay attention to these steps.